When your life depends on light, as it does for plants and other photosynthetic organisms, color is important. Even the most flamboyant displays are functional not frivolous. Beyond being a consequence of the biophysics of photosynthesis, these exhibitions are used to attract pollinators, to send warnings to would-be herbivores, and to adapt to their surroundings. Of course, humans find these colors fascinating for reasons unrelated to their purposes for the plants. As a result, these beautiful botanicals have become entwined with human culture as well- in our gardens, in our kitchens, and in our artistic expressions. This edition (#69) of the Berry Go Round blog carnival explores the diverse topic of plants’ use of color. Before we delve into the details of how plants use their colors or the extreme colors plants employ, start with this post from the As many exceptions as rules blog, which describes the extensive biochemical repertoire of plant pigments. Now let’s take a journey across the wavelengths of the spectrum of visible light. As you will see, plants don’t let any wavelengths go to waste. There is a purpose for every color and then some. When it comes to the color red, this vibrant color serves as an attractant that is perfectly adapted to the visual systems of their bird pollinators. The color red is also a strong attractant for humans because plants like Rubia tinctorium became so popular at one point as to be synonymous with empires. Colors can be simultaneously beautiful and delicious as described in this post by Sarah Shailes. If you’ve ever wondered why saffron is so expensive, you should definitely click the link. A common flash of yellow in Louisiana these days is the yellow iris, which is the subject of this post by Dave Spier at the Northeast Naturalist blog. Green is so ubiquitous among plants that it is often taken for granted. Yet plants do not take it so lightly, as explored in this post Beyond Green at the Postdoc Street blog. This post on the Plants And Rocks blog also describes how green bark can help give aspen trees a head start on photosynthesis before their leaves develop. In the literary world, violets may be blue, but other botanicals come much closer to true blue in real life. 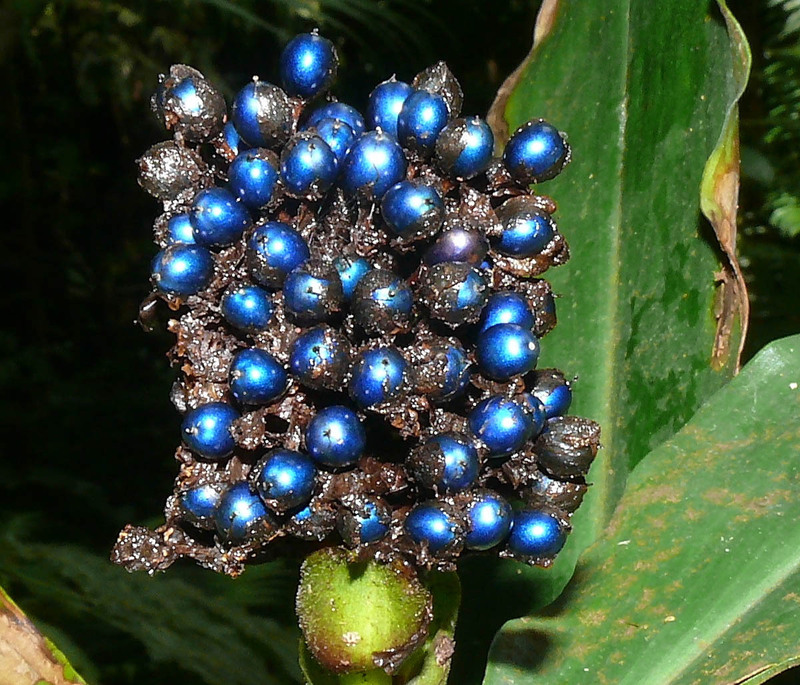 One striking example that you may not be familiar with are the seeds of the Malagasy traveller’s tree (Ravenala madagascariensis) described in this post from Kew Millennium Seed Bank blog. When it comes to indigo, the plant and the color are one in the same. Find out more about the plant behind this pigment in this post by Sushmitha on a Blog of Scientific Nature. There’s a new kid on the block when it comes to purple plants- the tomato. There are some heirloom varieties of purple tomatoes, but recently genetic engineering has been used to increase the amount of anthocyanins (antioxidant pigments) in tomatoes. Read more about them (and other genetically engineered plants) in this post by Izzy Webb on the John Innes SVC blog. Of course, other naturally-occurring pigments are found in our favorite edible plants. 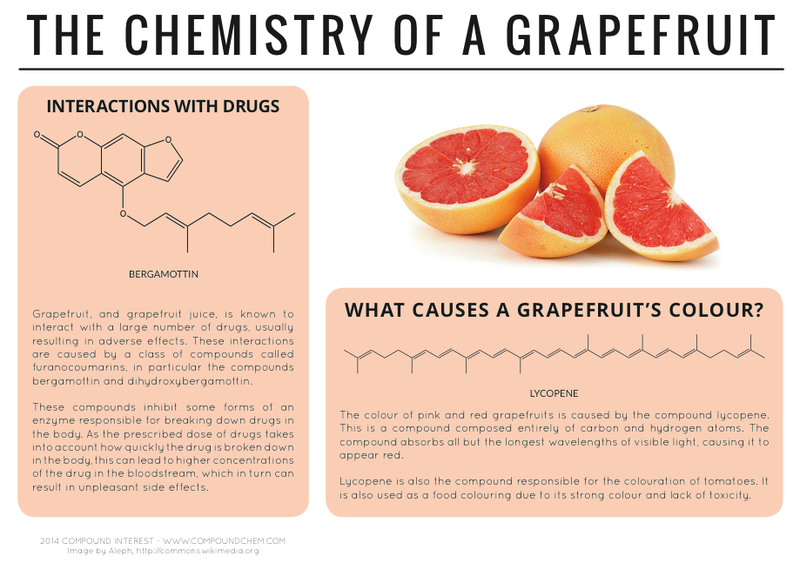 Check out the chemistry in these posts on Beetroot and Grapefruit from the Compound Interest blog. Plants also display other colors beyond the typical rainbow of the visible spectrum. 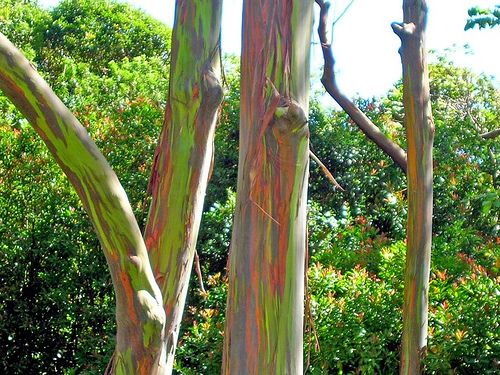 In fact, one species of tree, the rainbow eucalyptus, lives up to its name in a display of color more akin to the neon colors of an ‘80s music video than nature. Other plants are studies in monochrome. Ornamentals like the black pearl peppers described in this post by Mark Dwyer at the blog of Rotary Botanical Gardens in Wisconsin are entirely ink black– leaves and fruit. Emma Cooper offers you a steamy list of fifty shades of grey in the garden. Don’t worry, these are suitable for public display. 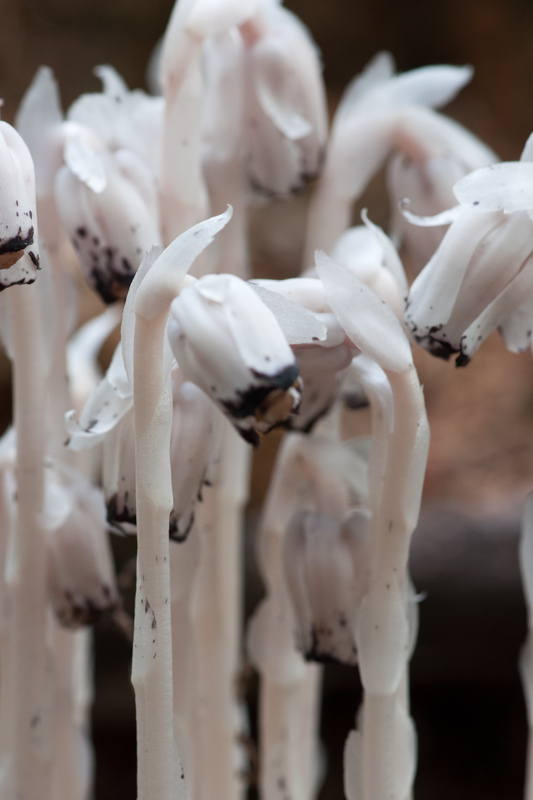 Rebecca Deatsman describes a plant on the other end of the spectrum on her blog Rebecca in the Woods- the completely white Indian Pipe. It may look like a fungus, but it’s really a plant despite the fact that is eschews a photosynthetic lifestyle. I’ve mentioned before on this blog that it lacks all pigments required for photosynthesis and therefore lives a shameful (for a plant) heterotrophic existence. Over at The Botanist in the Kitchen blog, Jeanne L. D. Osnas serves up a colorful nasturtium salad with a helping of explanations on the patterns plants use as ‘nectar guides’ to direct their pollinators to their sweet spots. There are also some great examples of how plants use colors that human eyes can’t see. 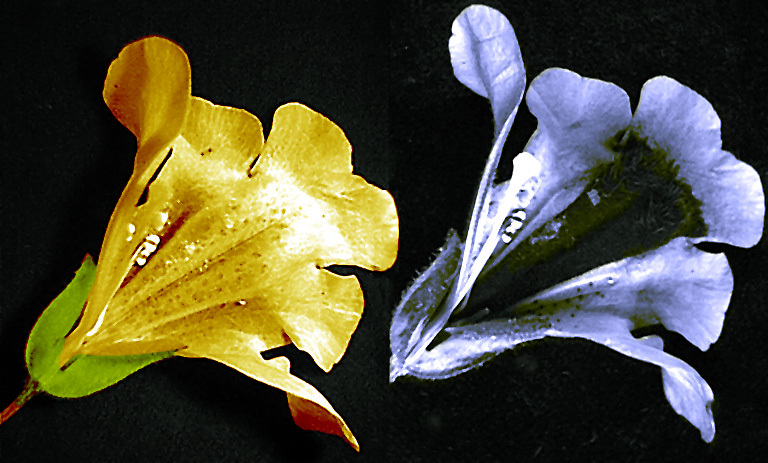 When the pollinators are insects with the ability to see ultraviolet colors, some plants color their flowers with pigments that reflect UV rays. Take some time to chew on the fact that the flowers that bees see have patterns on them that you cannot see. Think it’s silly that plant patterns would create such a frenzy in a species from another kingdom? Before you start to feel too superior, consider the tulip. 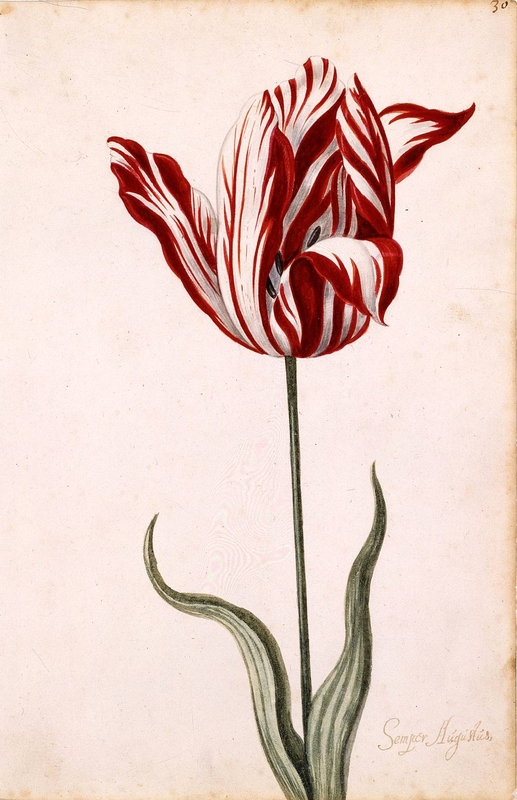 Fortunes were traded over the newest colors and patterns of tulips in the late 17th century in the Netherlands. Shown at the right is a picture of the Semper Augustus. This tulip is famous for being the most expensive tulip sold during the tulipomania in the Netherlands in the 17th century. The highest sums were traded in speculation over bulbs producing the striped or variegated varieties, but the underlying cause wasn’t superior genetics. Read this post by Suzi Claflin on the Direct Transmission blog that describes the virus that caused the hullabaloo. It isn’t all elaborate chemistry and genetics behind the colors plants use. The most interesting expressions of color are the polish of shine and the shimmer of iridescence, where the illusions are a trick of physics. For more on what this is, check out Anne Osterrieder’s post on structural color on the AoB blog. It may seem like something from science fantasy, but this earthly phenomenon is real and the research subject of Dr. Heather Whitney as she writes in this blog post. The shiniest living things on Earth are the fruit of Pollia condensate. As Ed Yong writes on his Not Exactly Rocket Science blog, they look more like Christmas decorations than edible fruit. Even certain seaweeds and algae are iridescent as illustrated in this post on the Coastal Pathogens blog by Michiel Vos. For some plants, a single color is not good enough, and they change color when environmental conditions change. The most familiar of these is the spectacular display deciduous forests put on each autumn. I’ve written about the biochemistry behind that event on this blog previously. Gardeners may also be familiar with the fickle hues of hydrangeas. 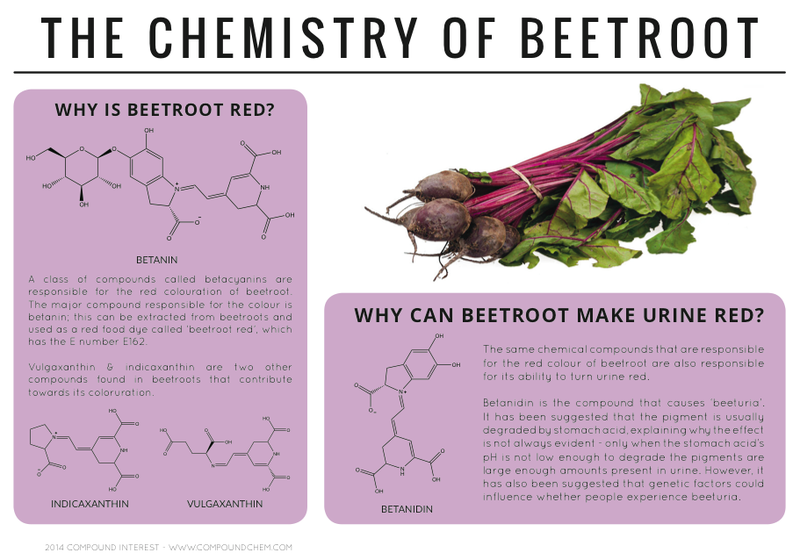 Read this post at the Reaction of the Day blog for a refresher on pH and this plant’s pigments. Poinsettias are also good at telling the pH as described in this post at the Compound Interest blog. Plants are only one class of photosynthetic organism, but they are far from the only ones prone to pageantry when it comes to pigments. Remember the horse of a different color from the Emerald City in Oz? The cyanobacterium Fremyella diplosiphon is a real-life version that changes its color based on its environment. If you’re curious how and why they do it, check out my post from earlier this week. Even on a macroscopic scale, there is plenty of algal color diversity to be found under the sea as shown on this post by Michiel Vos on the An Bollenessor blog. I think this linkfest has literally spanned the spectrum on the use of color by photosynthetic organisms. If you enjoyed this month’s Berry Go Round, check back next month for the next edition at the Roaming Naturalist’s blog exploring important backyard plants. UPDATE: Be sure to check out this link from Jessica Budke at Moss Plants and More. It’s not just about the color plants use, but the colors plants ‘see.’ And this latest post from The Botanist in the Kitchen blog about botanical dyes. This entry was posted in algae, biochemistry, cyanobacteria, for fun, general science, GMO, photosynthesis, plant science, plants on April 27, 2014 by johnnaroose. Lots of fascinating aspects of plant colors here. I wrote a post for it too! Interesting post – and great wealth of resources to follow up on. Loved the black and white plants and the rainbow eucalyptus! I was a bit late getting my colorful April post together. It is about colorful light receptors in ferns and hornworts. Check it out here on the Moss Blog. Thanks for taking the time to put this together, interesting stuff and some good reads via the links as well. The black pearl pepper is particularly strange looking – grey leaves look quite odd! Really well done post with some wonderful links. Thanks so much for including us in your essay.